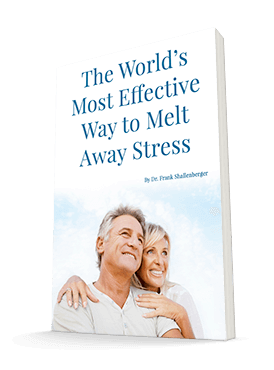 We are exposed to a multitude of stresses during our lives, from toxins, to lack of nutrition, to background radiation. Scientists use animal models to evaluate stresses that can harm us. Now, three new studies show how we can deal with these stressors with a tasty little food. In the first study, researchers fed berries to animals for two months. Then they exposed them to irradiation. This is a model of the ability of the brain to clear toxic accumulations (from radiation in this case). The researchers found that berries conferred significant protection compared to the controls. Berries stimulated a natural housekeeping process in their brains called autophagy, the ability to eat up accumulating toxic products. A second study published last year in the Annals of Neurology was huge. In this study, the researchers followed over 16,000 women from 1976 through 2001. They found that the women who ate plenty of blueberries and strawberries experience slower mental decline with age than women who consume fewer of the flavonoid-rich fruits. True, this was a survey study. But the results were quite in line with what I'd expect. 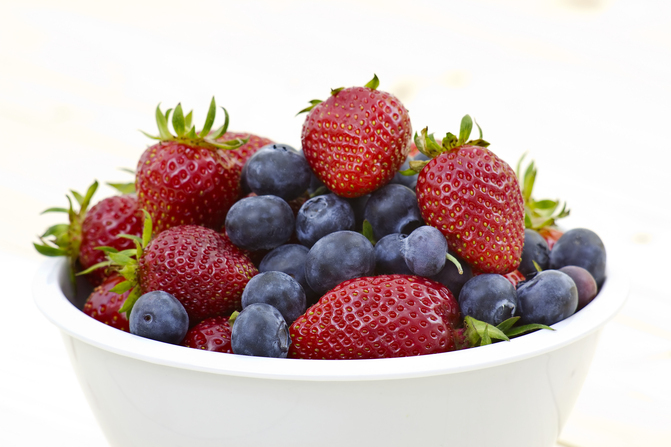 Those reporting eating the most berries had delayed cognitive decline by up to 2.5 years. And a third study supported the benefits of berries on your heart. This one involved 93,000 women in the Nurses' Health Study. The researchers followed them beginning in 1991. Those with the highest intake of anthocyanins from berries enjoyed a stunning 32% reduction in heart attack risk, even after adjustment for body mass index, physical activity, saturated fat intake (not really a risk), and family history. The researchers found that the specific flavonoids found in berries, especially flavan-3-ol compounds, did the trick, as compared to other bioflavonoids. They zeroed in on anthocyanins rich foods: blueberries, strawberries, blackberries, black currants, and even eggplant (note the purple color). The flavonoids found in these foods are extraordinarily powerful. Dark chocolate also provides flavonoids of this class. The authors stated that a diet rich in these foods is likely to be quite protective. They did not endorse getting the nutrients through supplements. But they based their study on whole foods, so they didn't go beyond their parameters. Please make berries a regular part of your routine. They offer powerful cancer protection as well! REF: Ann Neurol. 2012 Jul;72(1); Medpage 1-14-13.